Needful Things / N.I.B.I.R.U. - split 7"
Needful Things from the Czech Rep are a long running razor sharp grind outfit churning out the goods even now. 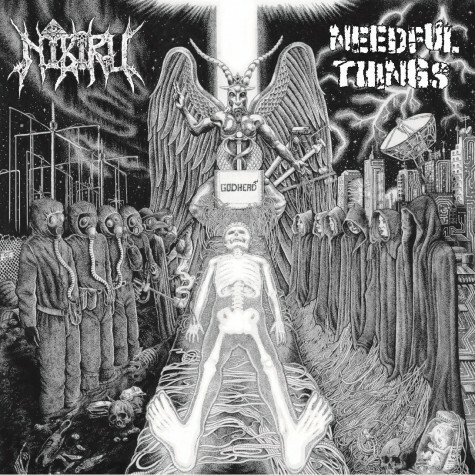 Nibiru from Texas feature people from Insect Warfare and War Master and kill 'em all with death metal sounding grindcore.